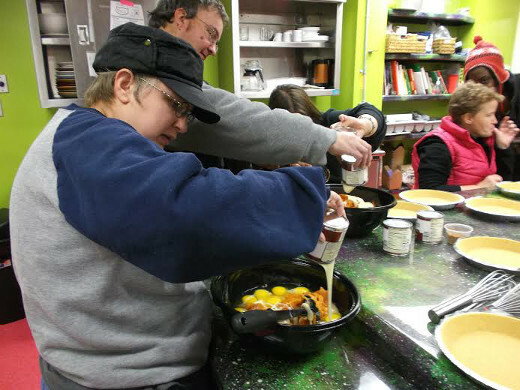 Golden String provides community outings and activities for our friends with level one waivers. Our Golden String Bowling League had over 80 bowlers this year alone!! Some of the events we attend are Cleveland Browns games, Pittsburgh Pirates games, day trips to Kennywood amusement Park, movies, concerts and much much more. Last year we even took a trip to Virginia Beach! One of our favorite activities is “Cooking at Pearl Street.” We come together, prepare a meal and feast upon it afterward. We have made everything from tacos to pizza to meatloaf and pies. It is a fan favorite activity because it is enjoyable while we are also learning independent living skills. We set the kitchen up, prepare all of the food, cook together, set the tables and sit down and enjoy what we have prepared. There is always a great feeling of accomplishment afterward, all the while it is filled with fun and laughter! !